Trooper Chris Stanbery inventories open containers that were found in Michael Tompkins' 2005 Dodge Stratus. 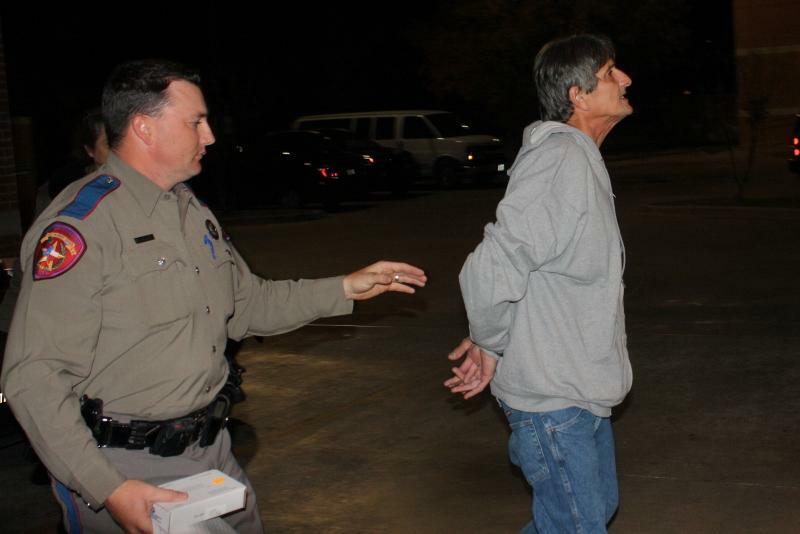 Driver Charged With Felony DWI, LIVINGSTON, December 11, 2011 - At approximately 11 pm on December 10, 2011, Troopers David Flowers and Sergeant Nita Bowen (both with the Texas Highway Patrol), were patrolling on US-190 west in the east-bound lanes of traffic. Flowers observed a red 2005 Dodge Stratus weaving and crossing over the line. Flowers initiated a traffic stop. The car pulled over in the parking lot of First National Bank. The driver of the vehicle was Michael William Tompkins, 57, of Beaumont. 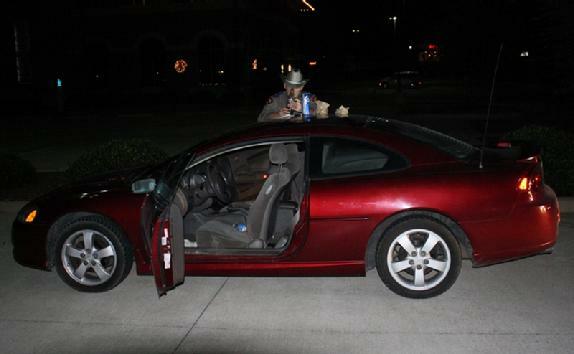 Trooper Flowers performed a field sobriety test on Tompkins and placed him under arrest for felony DWI (There was a four month old child in the car which automatically elevates a DWI to felony DWI). 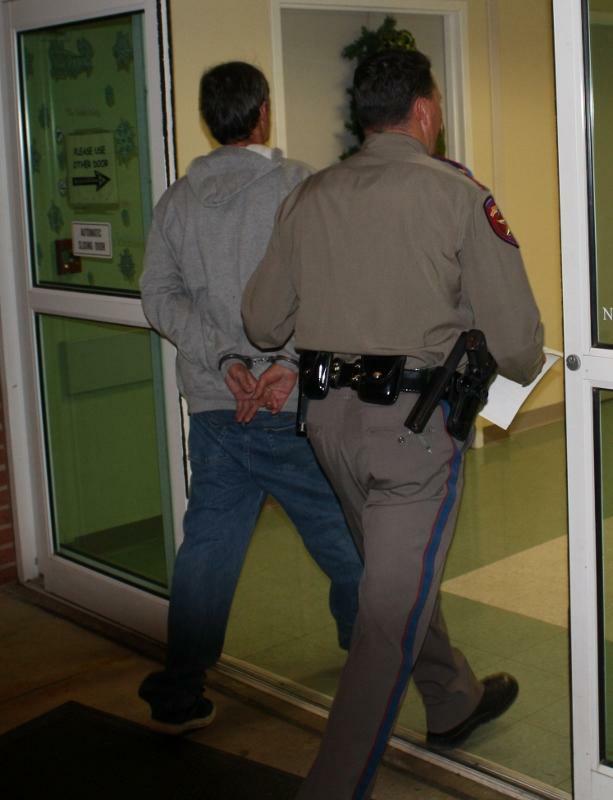 In addition to felony DWI, Tompkins was also charged with no insurance and driving with an invalid licene.Tompkins was driven to Memorial Medical Center in Livingston for a mandatory blood withdrawal. Tompkins' vehicle was towed from the scene by Kens Towing and will be stored at Harrison Body Shop in Livingston. The scene was cleared shortly after midnight. 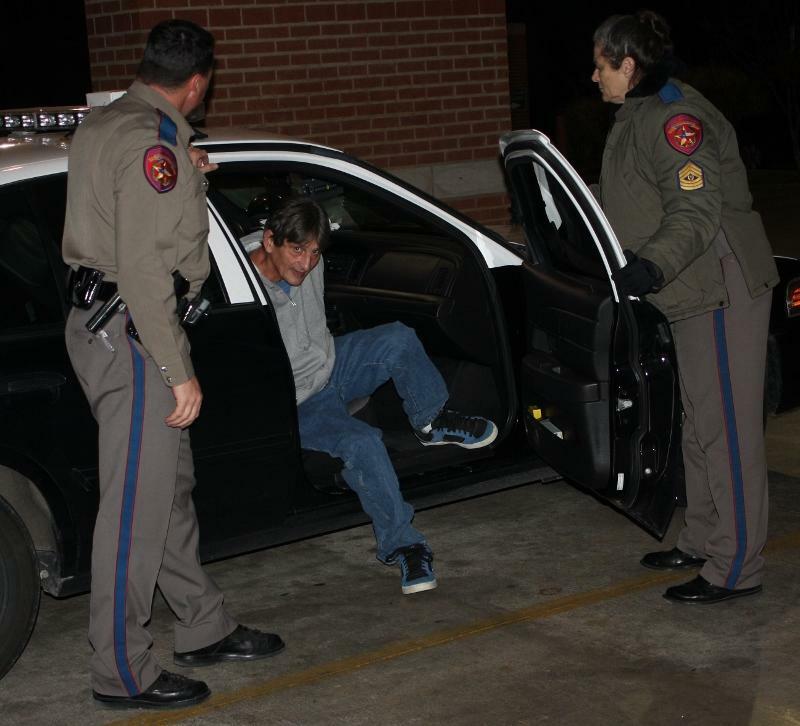 SO NOT READY FOR THE HOLIDAYS: 57 year old Michael Tompkins of Beaumont exits a Trooper's car at Livingston Memorial Hospital for a mandatory blood withdrawal for his felony DWI. Tompkins glared at the PolkCountyToday.com camera man and had some choice words for him to. Trooper David Flowers watches Tompkins closely as Tompkins was belligerent and contrary. 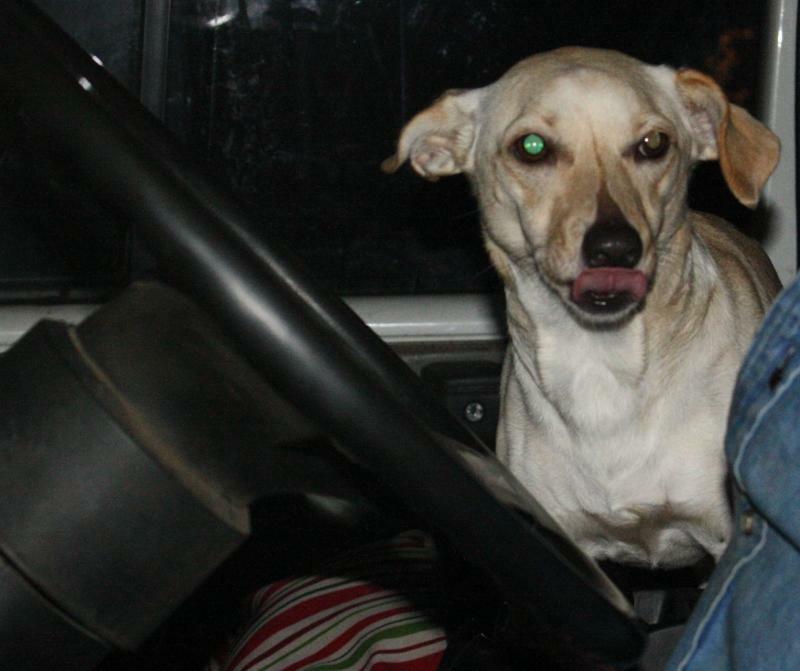 Tompkins' vehicle was recovered by Ken's Towing. Houdini was not in a good mood (late and cold).